At the Senior Living Conference taking place September 26th and 27th, featured speakers Dan Gartlan and Nicole Wagner will share their senior living marketing expertise. President of Stevens & Tate Dan and Internet Marketing Director Nicole will hold a 90 minute, hands-on workshop where participants will learn how to use social media to communicate with their audience on a more personal level, as well as optimize their website to drive more qualified leads. Determine key marketing tactics to achieve overall business goals. Be able to create buyer personas for future residents and prospects. Understand the stages of the buyer’s journey and how to communicate to prospects through each stage. Walk away with defined steps to improve online presence in order to meet objectives. The upcoming Senior Living Conference is the highlight of the senior living professional community here in Illinois, as thousands of LeadingAge members are expected to attend the two-day conference. At LeadingAge Illinois, Dan will demonstrate innovative new ways to implement marketing tactics for senior living. Dan’s presentation is a great opportunity for LeadingAge members to learn proven techniques to improve their marketing performance. This popular program has been highly regarded by senior living/aging care professionals across the county. At LeadingAge Illinois, Dan will demonstrate innovative new ways to implement marketing tactics for senior living. 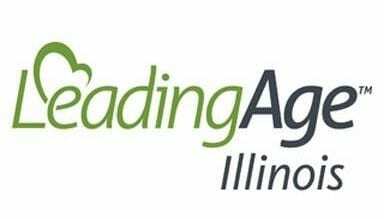 LeadingAge Illinois is one of the largest and most respected associations of providers serving Illinois older adults, and the state chapter of the significant national organization. LeadingAge Illinois serves more than 500 providers including home and community based services (HCBS), senior housing, continuing care retirement communities (CCRC), assisted living, supportive living, and skilled nursing/rehabilitation centers. To learn more about the Annual Meeting & Exposition, click here.